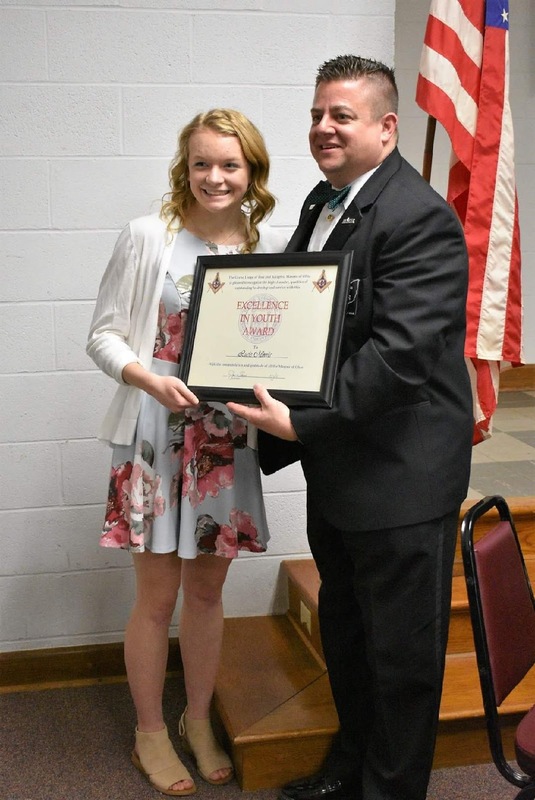 Two Darke County students have received the Excellence in Youth Award from the Third Masonic District in Ohio. 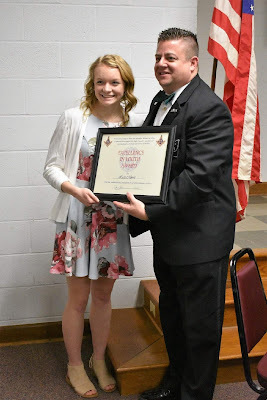 On Friday March 15th, the awards were presented at the reception for the Grand Master of Masons in Ohio at the Greenville Masonic Temple. This award is given to acknowledge students who exemplify service and scholastic achievement. 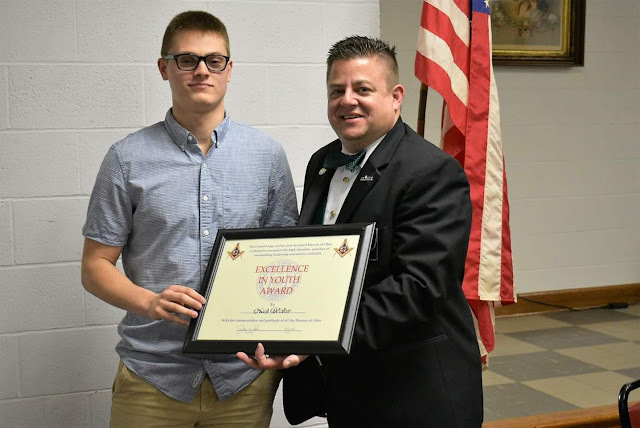 It is given to two recipients from the Third Masonic District, which includes the following communities: Greenville, Tipp City, Troy, Gettysburg, Port Jefferson, Piqua, Sidney, West Milton, and Arcanum. Lucie Morris is a sophomore at Tri-Village High School. She is highly involved in service to her community and interscholastic sports. Lucie placed 7th recently in the 50-meter free event at the OHSAA State Swim Meet. She believes that hard work and service to her community are the two most important attributes that she is developing in her life. Congratulations to Lucie. Noah Walker is Senior at Greenville High School. He is involved with an event called a night in Hollywood and has worked with his class to raise more than $30,000 for the Special Olympics along with many other local charities and events. Noah is involved student council, NHS, basketball, and orchestra. His plans for the future are to attend Heidelberg University to study sports management and business. Noah wants to give back to those in the community and be a positive influence for young people. Congratulations to Noah.